What do the poor have and the rich need? Nothing. What can guarantee future income, protect principal, defer taxes on gains, provide a choice between fixed guaranteed interest gain, an upside according to market indexes, and is discredited by popular financial coaches such as Dave Ramsey and Susie Ormond, most investment advisors, and much of the popular financial press, but is considered a valuable part of the portfolios of millions of individuals? Annuities. 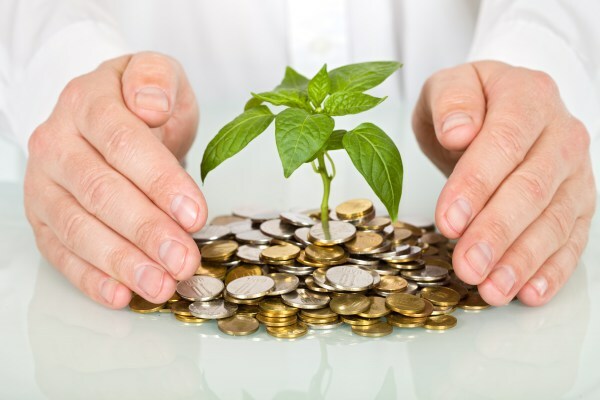 What are annuities: financial instruments that are designed to provide guaranteed annual income. Annuities have been around since the Roman Empire where they were widely used, among other things, to provide a stable guaranteed income for Roman Soldiers, an early form of a military pension. They came to America in the 1750s as a way for church congregations to financially support their pastors. They first became commercially available to the public through insurance companies in the early 1800s. Since those early years, they have never gone out of use. While they have always been valuable financial tools when used appropriately, their reputation has been tainted by their misuse by financial representatives and insurance agents. I hope this brief discussion will help to remove the tarnish of misuse and help to put back in the spotlight how annuities can be a valuable part of one’s financial portfolio. Annuities come in many forms. Most basically, they can pay out immediately (immediate annuities), or they can pay out at a future date (deferred annuities). There is even a form of immediate annuity where the premium is paid immediately, and the future payout is determined exactly as to age and amount, but the payout is delayed until a specific future date. To make it easier to understand, I am going to tag a few of the more popular types of annuities: a Now Annuity (an immediate annuity – where the payout is exactly calculated to be paid out for life or a pre-determined number of years starting immediately), a Time Capsule Annuity (a form of immediate annuity where the payout is exactly calculated to be paid out for life or a pre-determined number of years starting at a future date), a CD Alternative Annuity (a deferred fixed annuity which guarantees principal and earns compound interest for a period of years), and a Have Your Cake and Eat It Too Annuity (a deferred fixed indexed annuity which guarantees principal and earns either compound interest or gains based on market indexes, or both, and includes a guaranteed income rider that guarantees future income at a simple or compound interest rate that increases [rolls up] for a period of years). Each of these types of annuities is designed to best serve individuals based on their age, their financial resources, and their risk tolerance. Some people are not good candidates for annuities and should never be sold them. Others are good candidates. Since annuities are either an exchange of a lump sum for an immediate stream of guaranteed income, or are a lump sum or a series of payments subject to surrender charges over a period of years, it is vital that an individual have other cash resources that are available to them immediately and not subject to early withdrawal charges. Improper annuity sales have given annuities in general a black eye. No financial representative should ever consider selling annuities without proper training both general and product specific, and without first considering the overall financial picture of the individual they are serving. This is an ongoing educational project – each of the underlined types of annuities will be discussed at future times. If you are interested either for yourself or on behalf of someone you know, please let Walt or me know. Between the two of us, we have over 50 years of experience dealing with annuities.